What should the TTC do to improve its Rocket trains? 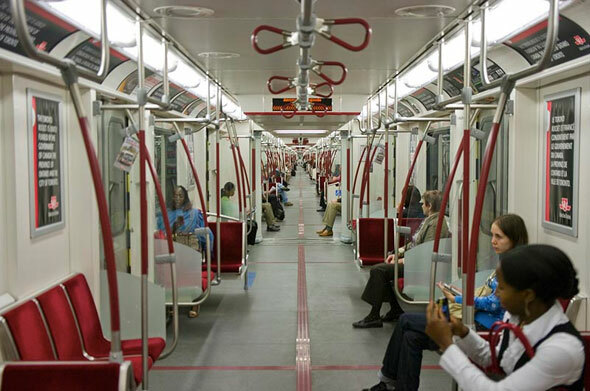 Toronto's new Rocket subway trains have a design flaw: if the doors fail to close three times in a row, an automatic shutoff kicks in and the cars need to be taken out of service be reset. This, as you might expect, is a bit of an inconvenience during rush-hour on the jam-packed subway. As a result, the trains are currently running on time 92.7 per cent of the time, well below the TTC's 96 per cent target. The doors are wired together so the train can't leave until each one is sealed. This safety feature is noticeable in the two-second delay at the platform after the train stops. If the safety is repeatedly activated, it seems the train assumes a fault and automatically shuts down. TTC CEO Andy Byford called the issue "unacceptable" and will meet with Bombardier reps Friday to find a fix for the 27 trains presently in service on the Yonge-University-Spadina line and discuss changes to the remaining 70 "trainsets" under construction in Thunder Bay. The two groups will also discuss adding extra handles to the interior of the train and building covers for the driver intercom, which, apparently, is too easily knocked by wayward arms. What other changes should the TTC discuss with Bombardier? Are there any minor issues you would like to see rectified? Personally, and this is just me, I would like the train's robotic voice improved to sound a little more human. Right now it says "please stand clear of doors" and "the next station is interchange station." A "the" and "an" wouldn't go amiss in those sentences. It's not as important as fixing in the doors but, you know, while they're at it... Oh, and could they dim the lights just a little? Some people are trying to get some sleep. Photo: "Toronto Transit Commission 5416" by apta_2050, "Long Train" by Stephen Gardiner in the blogTO Flickr pool.